October on Phillip Island means leather, leather and more leather with the return of the Australian Motorcycle Grand Prix. Add in the loud, throaty roar of motorbikes. Phillip Island Circuit is one of world’s best tracks, with a stunning backdrop overlooking Bass Strait. 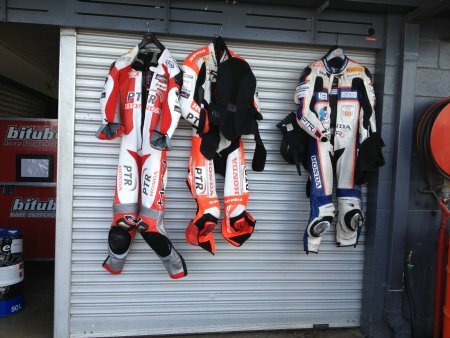 Famous Australian riders are remembered with Gardner Straight, and Doohan and Stoner Corners. While local eyes will be on Australian Honda rider Jack Miller, the big battle up front will feature MotoGP championship leader Marc Marquez and island favourite and second placed Valentino Rossi. Remy Gardner, son of Wayne, will be competing in Moto2 – the return of a famous name to the Phillip Island circuit. The action isn’t only at the track however. A grand prix can’t go past without a show from The Roulettes, the Royal Australian Air Force’s aerobatic display team. The Barry Sheene Tribute Ride takes place on Thursday October 20, riding from Bairnsdale to Phillip Island, and finishing with a lap of the circuit. Barry Sheene, a British rider, won world titles in 1976 and 1977. He later migrated to Australia and became a much-loved voice of motor sport. Another spectacular event is the annual Saturday morning ride from Cranbourne to Phillip Island. The Cranbourne GP Run involves several thousand riders riding to the island on their annual pilgrimage to the grand prix. Locals and visitors line Phillip Island Road to welcome the cavalcade, giving the event a community feel. Bikes range from big and loud to small and quiet. Some decorated, some plain, some outrageous, some flying flags, they add a festive note. A Show ‘N’ Shine competition takes place at Phillip Island Circuit but visitors can also admire the motorbikes in Cowes. The lower area of Thompson Avenue is partly closed for motorbikes, where visitors can wander among the shining duco and silver and chat to owners. Remember at various times over the weekend the “blue line” traffic system will be in operation, and Gap Road will be closed to local traffic only. 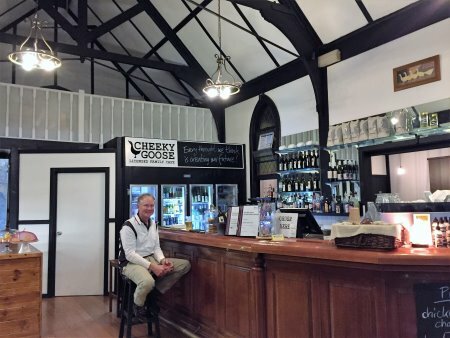 After Cheeky Goose Café recently won the Bass Coast People’s Choice Award for Hospitality, I thought I had better visit. Owner Robert was previously executive chef at the well-known Portsea Hotel. The old Tudor style church in Chapel Street was The Pickled Vicar Bar and Restaurant in its previous incarnation. Because it is school holidays we make a reservation. We are attended to immediately by friendly staff and order a selection of dips for starters. For main I have bangers and mash - three fat lamb and rosemary sausages on mash with caramelised onions and mushrooms – delicious and almost too much to eat! All washed down with a Purple Hen cabernet sauvignon. There are several tables of groups enjoying the family friendly atmosphere. For children there is a Gosling Menu. We want to get home to watch the football on television so for dessert we buy the chocolate brownies to take away, two huge brownies with cream, caramel sauce and strawberries – yummy! If you would just like a drink there is a great bar under the vaulted ceiling and exposed beams. Open for breakfast, lunch and dinner it really is a winner! 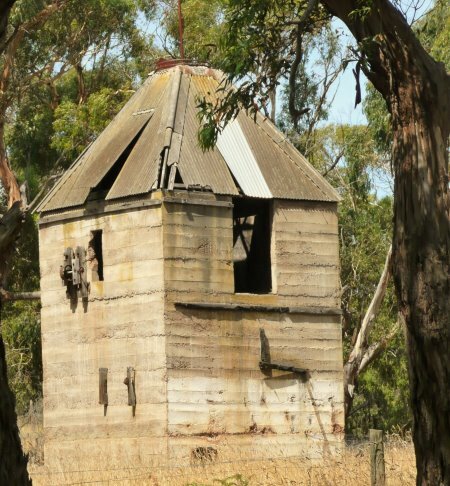 Ever wondered the significance of the strange shaped buildings dotted around Phillip Island? These are chicory kilns and were part of a prosperous industry on the island starting in the 1870’s, with the last crop grown at Rhyll in 1987. The roasted chicory was used as a coffee substitute. A comprehensive display about this industry can be seen at the Phillip Island Historical Museum. There is nothing new about chicory however. It was used by the ancient Romans and Egyptians as a cleansing medicinal herb, perhaps because it is naturally caffeine free. During the American Civil War and Second World War, chicory was grown as coffee was in short supply. I can still remember a bottle of chicory essence in my mother’s kitchen cupboard. The chicory kiln design is used in a lot of local architecture from homes to commercial buildings, keeping this piece of island history alive. Today chicory leaves are used in salads, usually adding a slightly bitter taste. Known by different names in different countries, in Australia what we know as endive, radicchio and witlof are all types of chicory.